This is a great seed for treasre hunting while also making an incredibly cool survival island seed. 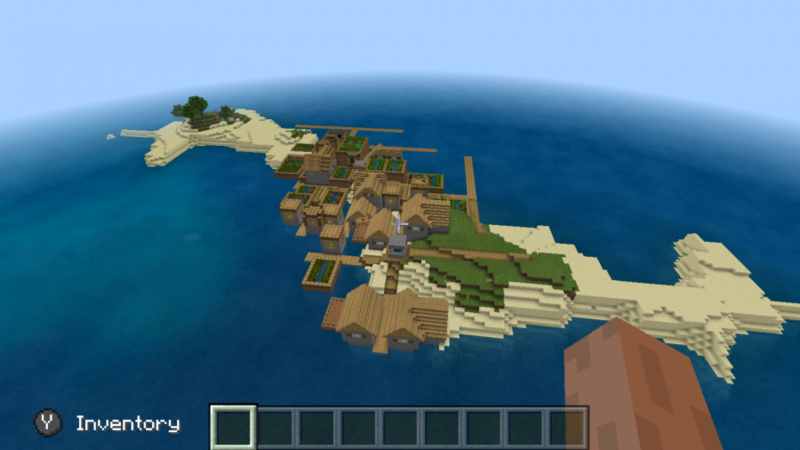 Starting with the island, there is a fairly large village crammed into a tiny island. Survival islands are fun, but the time it takes to build a little village on the island with limited resources never makes it worthwhile. When you can have an island with an entire village already there, why not start with a great foundation to build your survival off. This seed isn't a true survival island seed as there are other land masses nearby. Explore far enough and there are other biomes and islands, but for the most part there is ocean in all directions for at least 2000 blocks. The best part of this seed is the sheer amount of hidden trasure. I'm not gonna lie, I was able to find all of this hidden treasure because the switch is so slow to render the world that I saw the treasure chest below the sand before the sand had actually rendered. The good news is that this seed has a LOT of great and rare treasure. 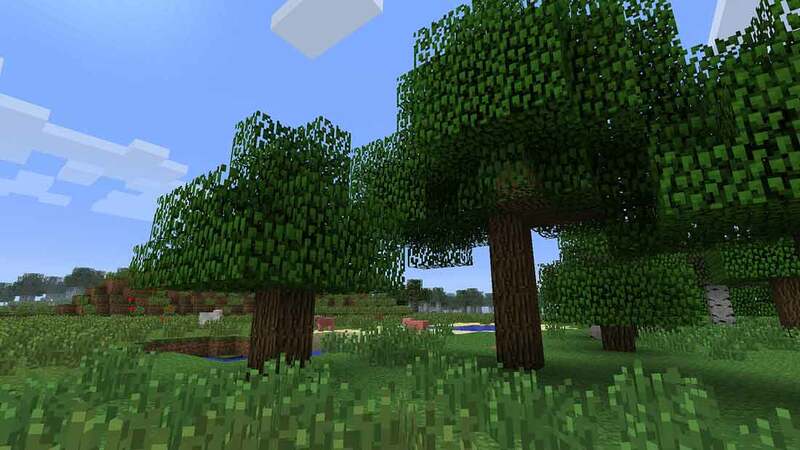 If you hunt down all of the treasure chests in this seed you will have plenty of rare materials like diamon horse armor, heart of the sea, gold apples and plenty of other uncommon materials. If you decide to use this seed, it is great to setup camp in the village and start making your way to the coordinated listed below for each of the treasure chests and you will end up with a massive amount of end game loot very early on. I didn't chart them, but there are also lots of shipwrecks in the nearby ocean. I will explore it all in the future and try find some ocean monuments. There are bound to be lots of them with the amount of ocean here.